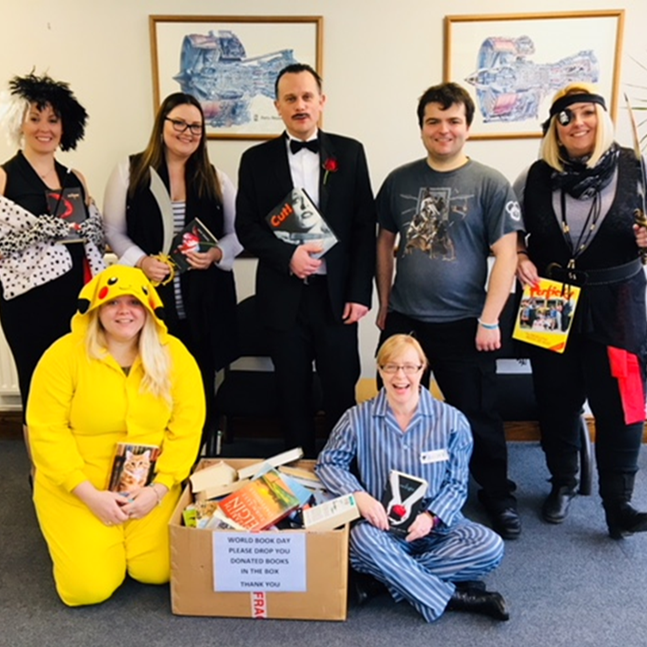 In support of World Book Day, we have been getting into the fancy dress spirit and raising money for charity again this week. Andrew Walker, Finance Director appears to have grown a moustache overnight (centre back row) and arrived in his usual weekend attire! A huge thank you to all who have taken part, donated books and money to Diverse Abilities, Dorset’s disability charity supporting children and adults with profound physical and learning disabilities across the county. The total monies raised for Charity will be confirmed tomorrow along with the winner for the ‘Guess the VFE Employee’ charity competition.